Everybody yearns for and deeply desires to feel love in their life. Unfortunately it’s not always so easy to get (or to give). Sometimes love is blocked by past heartaches and fears. Sometimes it just feels impossible to meet someone and make the right connection. There are lots of ways to work on bringing love into the picture, and using the high vibrational power of gemstones is one of them. Instead of a box of chocolates, it may be a better investment to grab some crystals this Valentine’s Day and see where an open heart and revved up passion will lead. Before looking for love, it’s really important to have cleared the heart of past aches and let forgiveness flow. It’s not always easy to forgive someone who has done you wrong, but holding onto their mistakes will create blockages in your current love life. Clearing away or coming to terms with old emotional wounds will leave more space in your heart for new and blossoming love. Rose quartz is one of the most beautiful heart-healing stones to work with. Also look for kunzite, pink tourmaline and rhodonite. 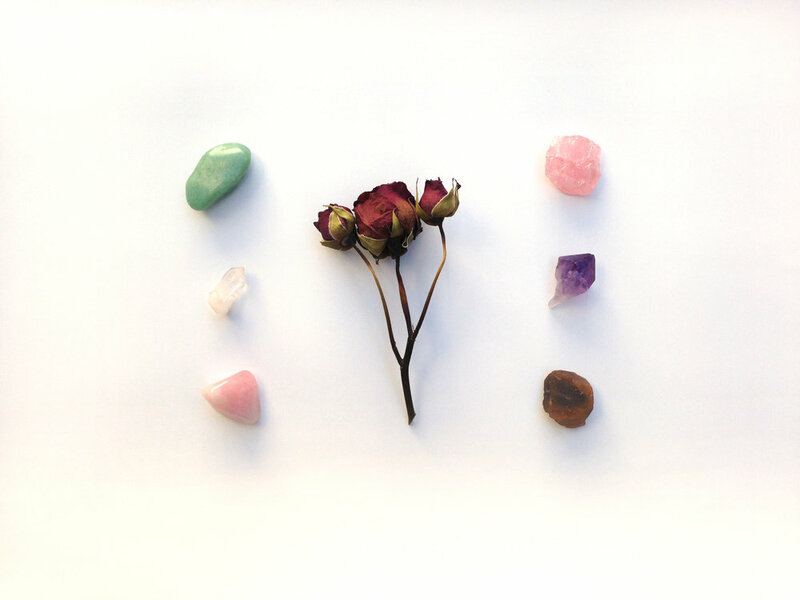 These crystals all vibrate and align with the heart charka and help with forgiveness, acceptance, and healing. Find and Attract a Mate. Once the heart has healed, it’s time to connect with the right partner. Keep your third eye open and the right person could be just around the corner! Staying grounded and spiritually aligned, in whatever capacity that means to you, is a very attractive quality. Not only will potential mates in the world see the glowing radiance and want to be near you, but your soul will then call for the type of people that match that inner light, like a puzzle piece. Try using stones like amethyst to align the crown chakra, aventurine for an irresistible optimism, and citrine for manifesting what you truly desire in a partner. Love always starts out strong, with lust its closest companion. But after a while, those feelings of passion can fade, and even the most deeply rooted love can use a little boost of excitement. Just because the sparks seem to fizzle doesn’t mean it’s time to abandon the relationship. There are a lot of sensual tools like candles and oils that can set the mood, but what about changing the actual vibration to ignite the senses? Ruby is one of the fieriest gemstones for passion and better chi-energy flow from the base of the spine. Also bring in some sunstone and carnelian, to ramp up sexual desire and pleasure. Sara is the Chief Sorceress and co-creator at Gemstone Organic, a Los Angeles-based skin care brand changing the way we see and heal our bodies. She has been working with gemstones in many capacities over the last five years and loves to incorporate them into her lifestyle, which includes several different healing modalities. She is the founder of the Radically Holistic Beauty movement, a progression towards achieving inner balance to bring out the essence and radiance of your most beautiful self.